Document for a Badge (Medal) of Honored Blood Donor of the USSR, issued on 10 November 1961 to Nikolai Evdokimov. 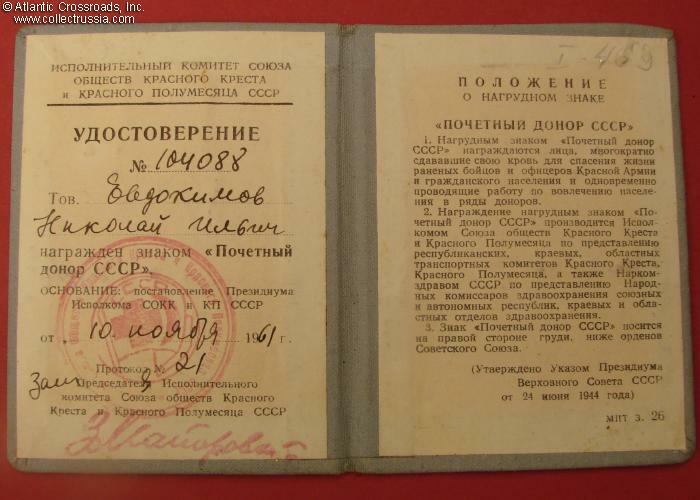 Document for a Badge (Medal) of Honored Blood Donor of the USSR, issued on 10 November 1961 to Nikolai Evdokimov. 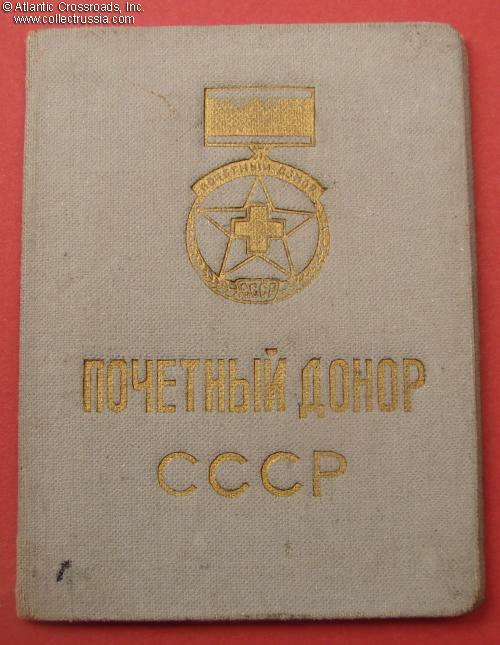 Nice quality hard covered booklet bound in light blue cloth with gold impression of the badge and writing "Honored Donor of the USSR" on the cover. In excellent condition. Shows only a few small marks and light wear to the cover, otherwise perfect.